The popular diamond Isle is noted for its warm climate, stunning scenery and friendly welcome. Shanklin is a pretty coastal resort on the tip of Sandown Bay and offers a safe sandy beach and pretty old village. ISLE OF WIGHT STEAM RAILWAY AND COWES: Enjoy a genteel ride aboard the Isle of Wight Steam Railway and spend time in the seaside town of Cowes, maritime gateway to the Isle of Wight. 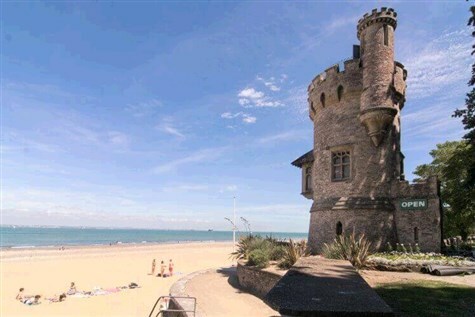 RYDE AND WALTZING WATERS: Ryde faces the solent and is one of the island's biggest towns with great boutique shops and fabulous beach. Waltzing Waters is Europe's most spectacular water, light and music production. Situated in an excellent position overlooking Sandown Bay, all rooms feature telephone, TV and hospitality tray. Facilities include lounge, restaurant, dance floor with regular entertainment, indoor swimming pool and a lift. Deposit: £50 per person for all coach holidays in Britain and Europe.